Android Oreo has been released for quite a while now. Google has already rolled out this firmware for its Pixel smartphones. Manufacturers like Samsung, LG and others are gearing up the firmware development for their flagship devices now. It’s about time we start seeing most of the flagship devices running on the newest Android operating system. As the firmware starts running on more and more devices, it will also fall into the hands of the Android developers. We have already started seeing the modifications that are supposed to enhance your Android 8.0 Oreo powered smartphone. On an Android Oreo powered device, you will have to go through certain permissions before customising your device. The very first thing that you will go through is the USB Debugging mode. Enabling this mode is important in order to establish a successful connection between your computer and your smartphone to perform all the ADB operations. The second option is the OEM Unlocking. Enabling OEM Unlocking is important to prepare your phone to flash anything through its recovery or through the Android ADB and Fastboot mode. Since the Android Oreo is a completely overhauled firmware, it’s important to know where both these options are located in it. 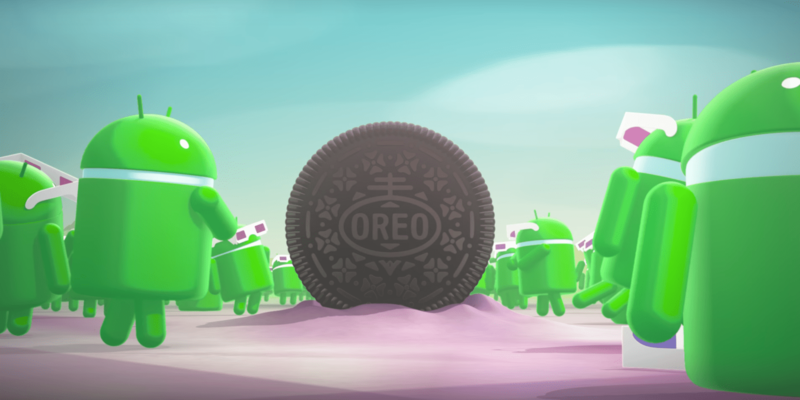 The following guide will help you to Enable OEM Unlocking& USB Debugging on Android Oreo. On your Android device, go to settings. Now in settings, scroll all the way down and go to About device. 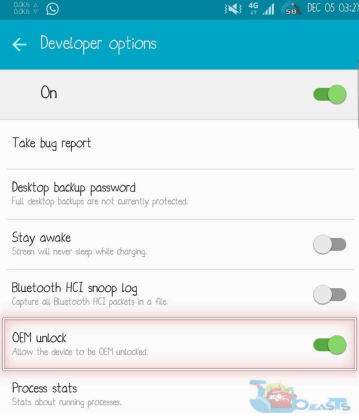 Open developer options, the 4th or 5th option should be “OEM Unlock”. Turn on the small icon next to it and that’s all. You’ve enabled OEM Unlock. On your Android Oreo phone, go to settings. Tap the build number for 7 times to enable Developer Options. Once done, Developer Options section will appear at the bottom where you found the About device option. That’s all with this guide. Feel free to reach us out if you need any kind of help.